If you’re like me, winter has had you stuck at home more than usual this year, especially with the temperatures in the negatives. 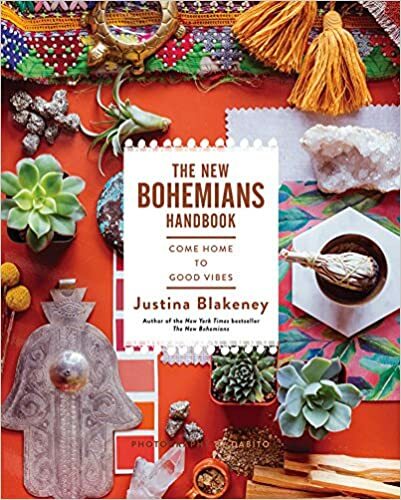 Spending time at home meant spending time around all my things and I started contemplating what I needed and what I could do without, which is how I stumbled onto Justina Blakeney’s The New Bohemians Handbook: Come Home to Good Vibes. I’m not usually one to read design books or even magazines, but as I was looking at books on downsizing belongings, the cover of this book caught my eye. I’d never before seen a book that quite captured my style. And despite it using the the fairly curious idea of “good vibes,” after reading the book, I came to understand what Blakeney means, how the colors, objects, sights, sounds, and smells we surround ourselves with and experience everyday can either positively or negatively affect us. I picked up this book to just browse the pictures for inspiration, but it ended up being so much more than just a catalog of photos. On the first night I brought the book home, I read it cover to cover without stopping (which isn’t too hard to do when it’s filled with vibrant, captivating pictures). I’m sure that this book will give you ideas for how to improve your current decor as well as incorporate fresh, new ideas into your home. Blakeney’s idea behind good design is to create environments that make us happy. These different environments can also provoke different moods. One thing I took away from it is to envision what the space’s function will be and think what would sensory experiences would help you perform better in that space. For example, a living room could be a space for relaxation, but depending on your home and lifestyle it could also be part home office or part dining room. These different functions can be easily separated and even combined to create a space that best suits your life. Taking readers through every process, Blakeney spares no detail, from deciding a color that provokes moods such as creativity or relaxation to picking out items that establish how you want the room to feel and how to make rooms feel like separate spaces even by keeping open floor plans. Although Blakeney puts focus on the spiritual side of decorating, like star signs, crystals, and devotionals, I still found her overall advice about designing spaces that inspire as well as they function. 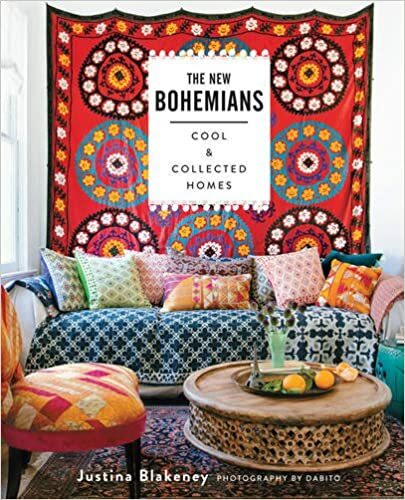 If you’re lost for affordable decorating ideas or feel like you can’t improve your home unless you make major changes, The New Bohemians Handbook may surprise you with simple changes that can completely transform your space and improve your life. Blakeney stocks hundreds of suggestions that will make you happy about the home you live in. This book is a collection of 20 of Blakeney’s favorite homes across the United States that encapsulate the Bohemian spirit. She also includes DIY projects and an “Adopt an Idea” section for each home, as well as an all-encompasing plant guide for your home. This book will show you how to create a marvelously put-together environment, especially from reclaimed materials, and those created for and by you!